Skin aging is an inevitable fact of life. However, it is accelerated now days because of factors such as pollution, stress, and vitamin deficiency. Despite the drastic improvements in the medical and technological field, you may not be able to stop the effects of aging but you can slow down its development. If you want to effectively and efficiently slow down the effects of aging you are encouraged to invest in products that are rich in antioxidants that hamper free radical damage. Look for ingredients like Aloe Vera, Argireline serum, and Hyaluronic acid. Countless people suffer from dry and itchy skin year round. Some skin conditions such as psoriasis and eczema can cause dry, itchy skin as well. Therefore, if you are someone who experiences dry and itchy skin for a longer period, you should consult medical professionals since they may be advised to use different skincare products that can alleviate the problem. This is important because dry and itchy skin may impede the absorption of essential nutrients that conventional lotions and creams contain. 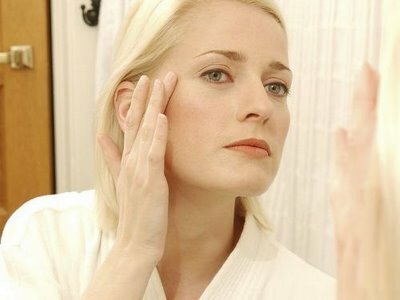 If you have sensitive skin, be careful when purchasing skin firming products. Many of these firming products contain harsh chemicals, germicides and other allergens that are bad for skin and cause worse reactions. Remember that products with the said ingredients may aggravate the tale signs of further aging as well. If you have skin concerns and are looking for a firming or anti-aging cream on the Internet, television, or other sources - it may not be the best option since many skin care products that are out on the market fail to address the real needs of one’s skin. When it comes to slowing down the effects of aging, seeking the approval of dermatologists can go a long way.